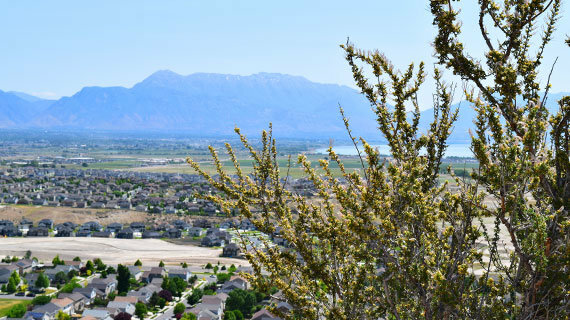 The hunt for your Eagle Mountain, UT home will be a life-changing experience. On EagleMountain.com, you can find your dream home by searching for listings in your desired community below. We find prime properties and negotiate the best deals in Eagle Mountain, UT. Our primary focus is to deliver consistently unmatched, unrivaled buying or selling experiences. Whether you need a buyer’s or seller’s representative, you’ll get experienced, dedicated agents who meet your goals. Browse our listings and make the process of buying, selling, or financing a home in the area a breeze. Hire a real estate agent in Eagle Mountain for a seamless buying or selling experience. We have a proven track record of success and sell 400% more homes compared to traditional real estate agents. We do more than the average agent because we put your needs first. By choosing our exceptional services, you can expect a swift and exceptional transaction. This way, you’ll have someone to back you up throughout the process, whether you’re buying or selling. Find all the resources you need for your next real estate purchase. Here you can search for homes for sale including new construction, sell your Eagle Mountain home for top dollar, explore 18 unique communities, stay on top of community news and events, and learn about amenities and attractions that bring people to Utah County's fastest growing city. Find a home in Eagle Mountain today. Skip the inconvenient process of browsing hundreds of real estate listings. Our Eagle Mountain realtors make it possible for you to search for a property in the area with confidence and ease. We offer a variety of customized searches to eliminate the lengthy process of sifting through detailed listings to find the property you need. Our search feature separates available homes for sale into different categories. These include townhomes, condos, new construction, foreclosures, large lots, and more. As your comprehensive source to properties in the area, we keep our listings up-to-date. When it comes to finding your ideal property, time is of the essence. And at Eaglemountain.com, we reinvent the home shopping process for your ultimate convenience. Narrow down your home selection options with our comprehensive real estate listings. Our experienced Eagle Mountain real estate agents will guide you through the process for a hassle-free transaction. Together, we can find an ideal property that fits your budget and needs. 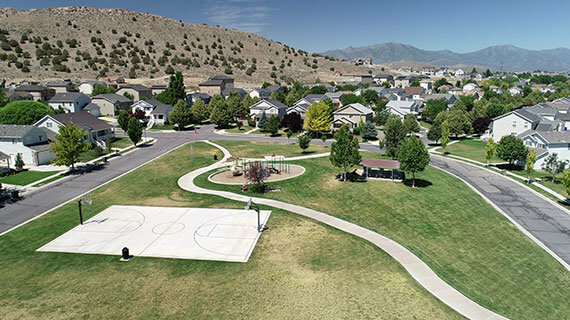 Eagle Mountain is home to 18 different communities; each with their own distinctive features, home styles and amenities. Learn about, and search for homes, in each one here! The Ranches is Eagle Mountain's premiere community. 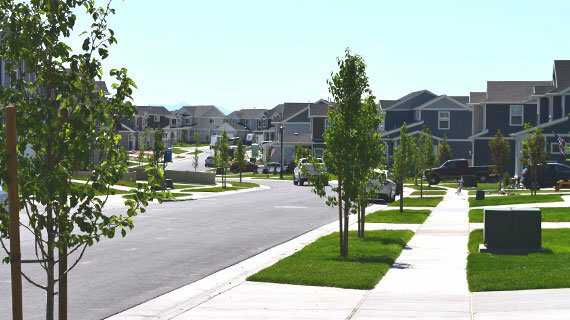 The Ranches has easy access to I-15 and Redwood Road, Lehi and Saratoga Springs. It is home to The Ranches Golf Course, Porter's Point Town Center, and more than 45 different neighborhoods. Eagle Mountain's City Center, south of The Ranches area, is the heart of the city. Growing quickly, property values are rising and many new businesses are coming in. It is home to 18 different neighborhoods. 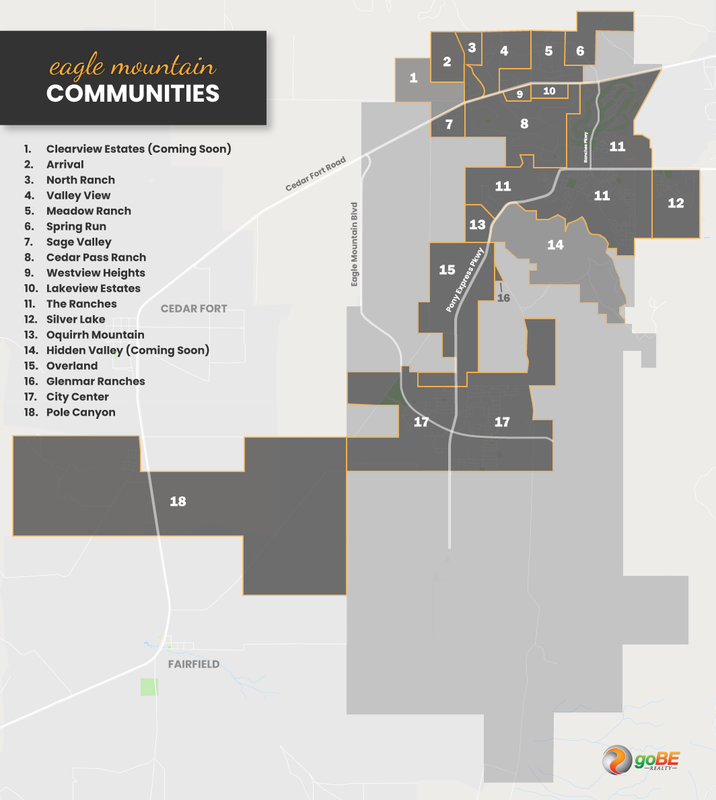 Find details, photos, aerial video, directions, and maps of everything that Eagle Mountain has to offer; including schools, parks, recreation, shopping, dining and other businesses. "Keep Calm and Zombie On"